Let’s consider a real situation to clearly understand the value of this method. Please, try to assume that we have a web application with a lot of holes and flaws like a colander. SQL Injection allows us to get admin password hashes, then we restore the passwords, but here’s bad luck – we are unable to find admin page :(. And there’s Sqli, but we cannot access site file system. And there’s LFI, but we can hook nothing :((. And in this situation said method can help! For this example, "myAdminPanel\admin.php" is a possible result. Please ensure that this example is just a special case. 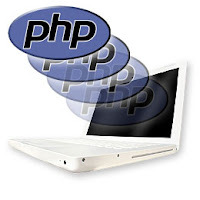 This PHP feature can be used much wider! I also want to add that this method is applicable for all versions of PHP and on Windows-based systems only.